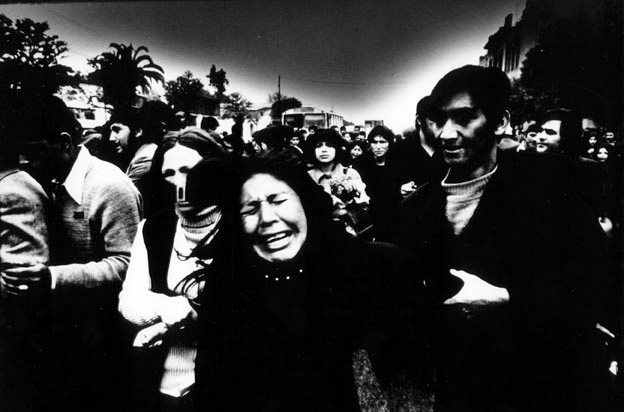 Koen Wessing was a Dutch photojournalist best known for his work photographing Chile’s 1973 mititary coup. Wessing was first attracted to photography after reading Weegee’s Naked City. 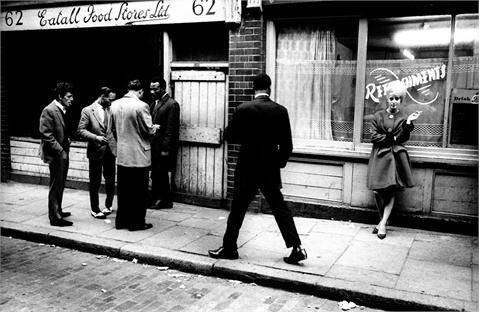 He started as freelance photographer in 1963. In the 60’s he served a stint as a printer for Magnum. He first won recognition for his own pictures of the May protests in Paris in 1968 and the occupation of the Maagdenhuis of the University in Amsterdam in 1969. 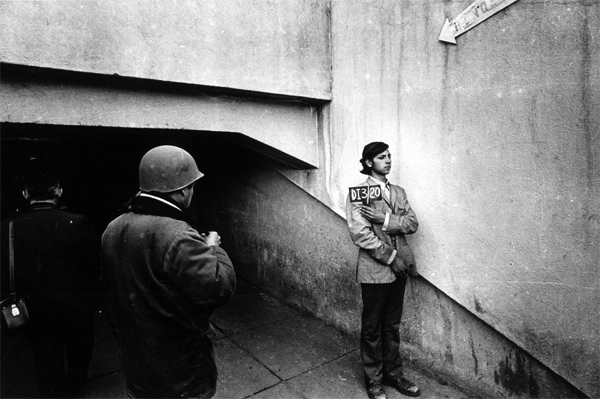 His images of the 1973 coup in Chile against the progressive government of Salvador Allende, taken with a Leica M4, made him an internationally renowned photographer. 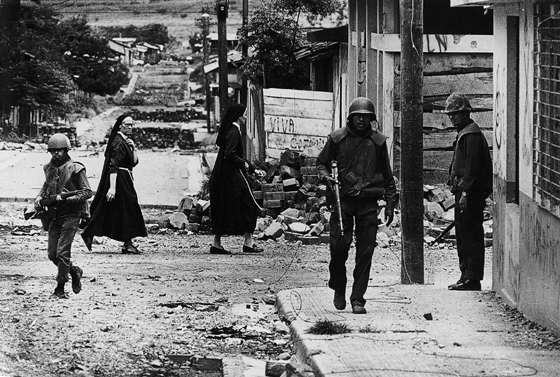 Roland Barthe, in his seminal work Camera Lucida, discusses at length one of Wessing’s 1979 photos from Nicaragua that depicts two nuns walking past armed soldiers. The juxtaposition — or duality, as Barthes calls it — is noteworthy to Barthes; it is this duality that creates the picture’s punctum, the thing that makes the viewer pause and look again. Koen Wessing passed away in Amsterdam on February 2, 2011. He was in the process of hanging prints for an upcoming retrospective of his work in Santiago. 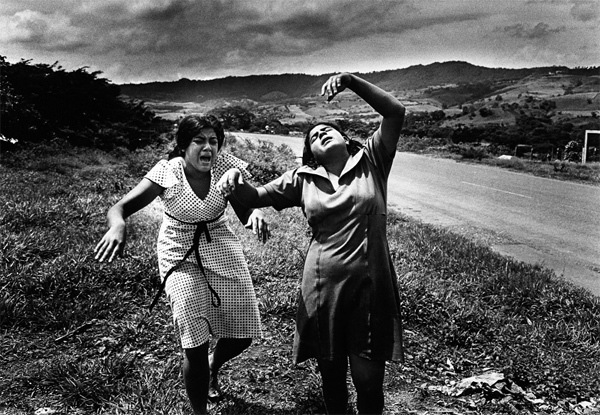 This entry was posted in Documentary Photography, Leica Photographers and tagged Koen Wessing on December 18, 2013 by Leicaphila.